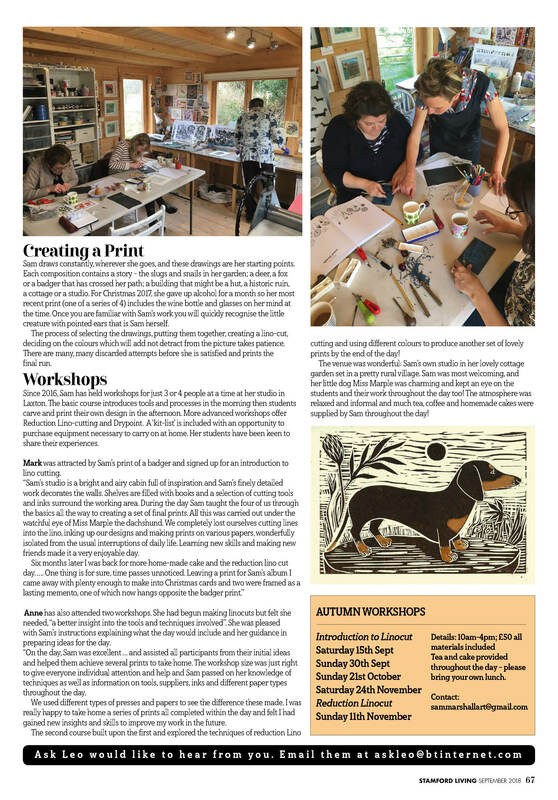 Every month I run a variety of one day print making workshops from my studio. 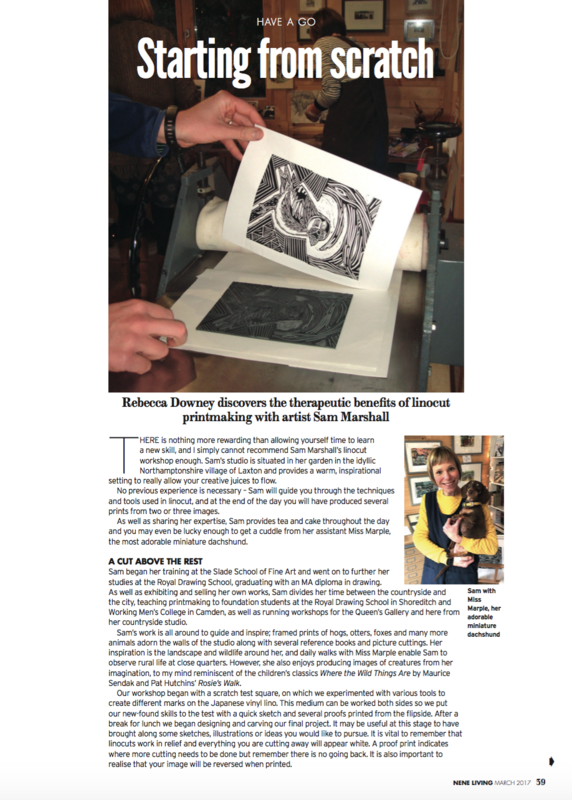 For the beginner then the ‘Introduction to linocut’ is a good place to start. 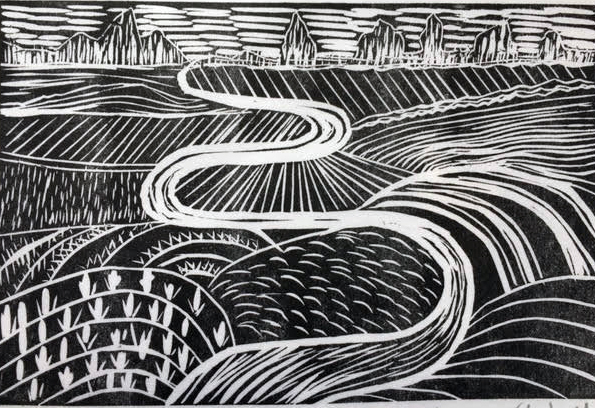 The ‘Reduction linocut’ workshop is suitable for students who have completed the ‘Intro’ workshop or have previous linocut experience. 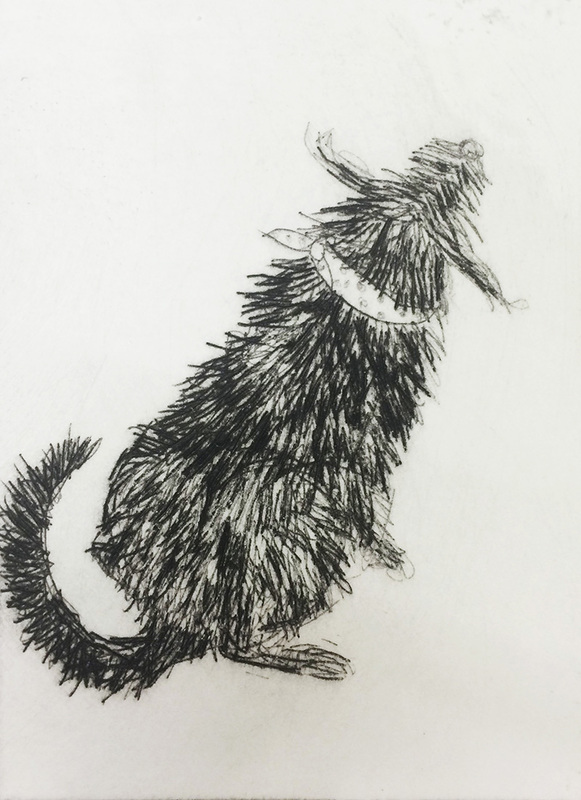 The ‘drypoint’ workshop is a great introduction to ‘Intaglio’ printmaking and is suitable for anyone who loves drawing and wants to extend their practice into print. All the courses run from 10-4pm. They cost £50 with all materials and homemade cake included ! I limit the numbers to 4 students per workshop to ensure everyone gets individual tuition and attention. I’m happy to run workshops during the week if you can gather together 3 or more people together – do email if you would like to organise a day. NEW DATES FOR SEPTEMBER – NOVEMBER WORKSHOPS RELEASED SOON ! This is a day long workshop where you are introduced to the basics of linocut. 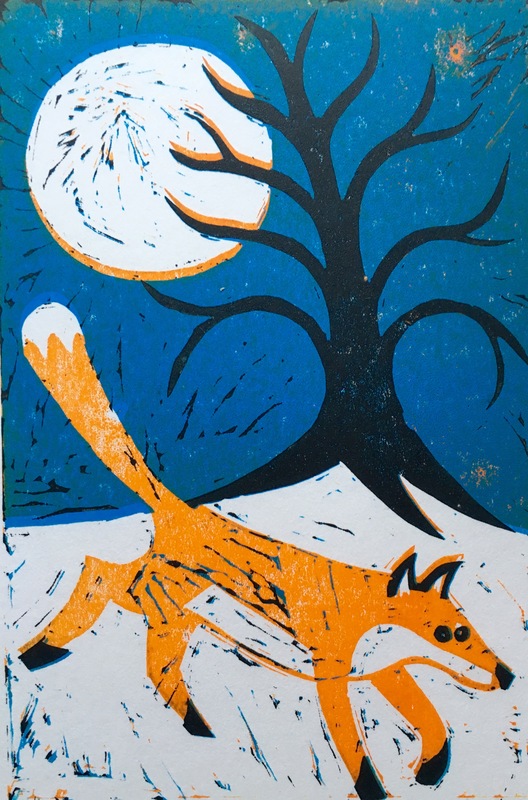 In the morning you will experiment with a range of tools and produce an experimental print and in the afternoon you will carve and print your own design, you will have the opportunity to print on a hand lever press and my own etching press. 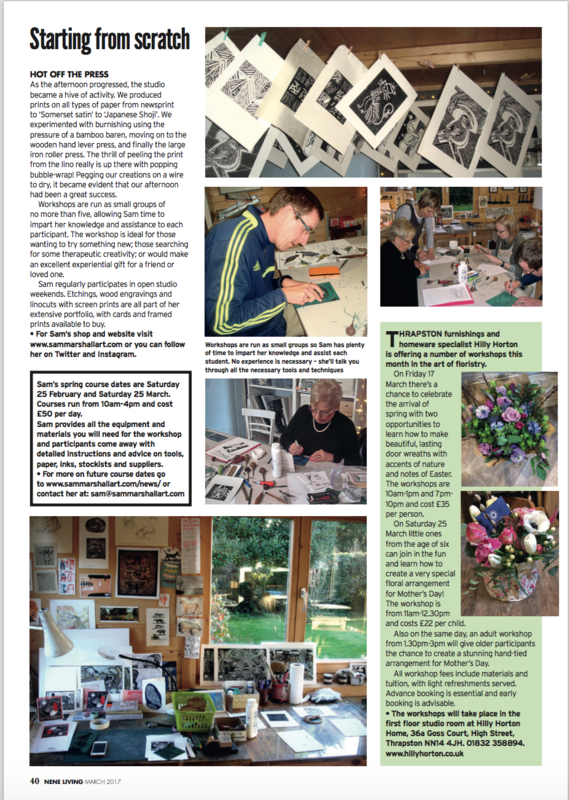 Suitable for students who have completed the ‘Introduction to Linocut’ workshop or already have experience with linocut. In reduction lino (otherwise known as suicide lino), the design is produced from one single lino block, layering up the colour each time the lino is cut. This technique is a challenging way to produce an edition of prints, as by the end of the session there will be little to none left of your lino block! Detailed instructions will be given before the start of the workshop so you will come prepared with your own design and clear about what will be achieved during the day. 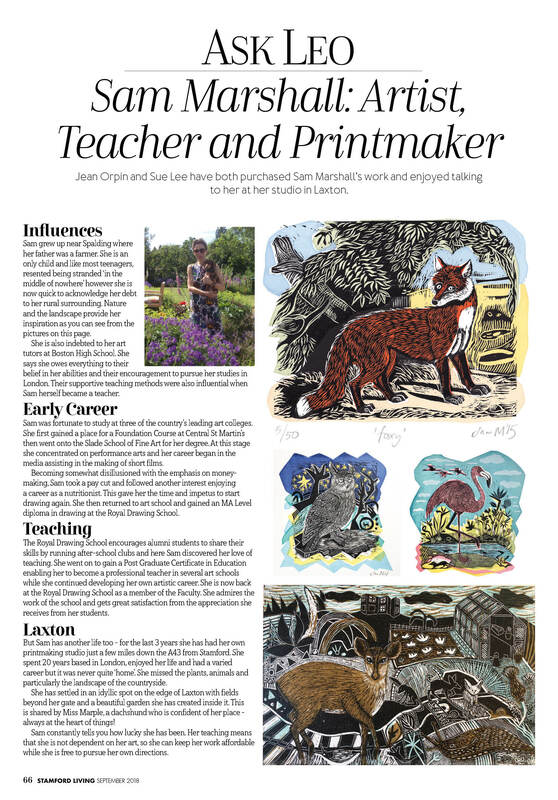 In September 2018 my local magazine ‘Stamford Living’ wrote an article about my work and workshops – it proved very fruitful with all workshops filling up within one week of publication! 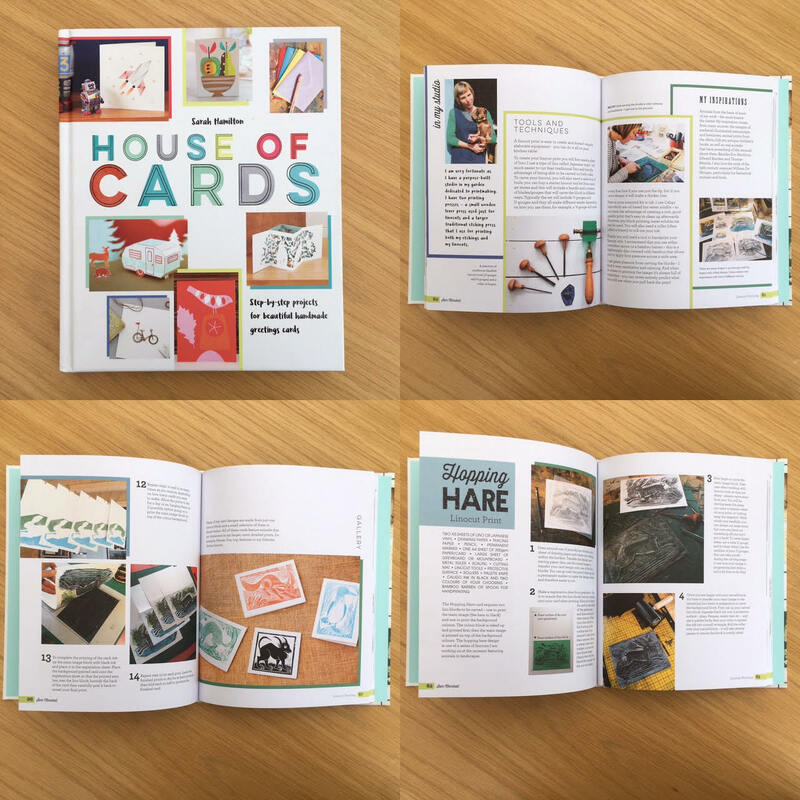 I’m delighted to be featured in this AMAZING book – HOUSE OF CARDS. It’s a superb guide to contemporary greeting card design. My chapter shows you how to make a handmade linocut card – step by step! The book is full of inspiring tutorials and demonstrations. I can’t recommend the book highly enough if you want to get creative and crafty!